The circumference is an approximate size as the wire is hand twisted. 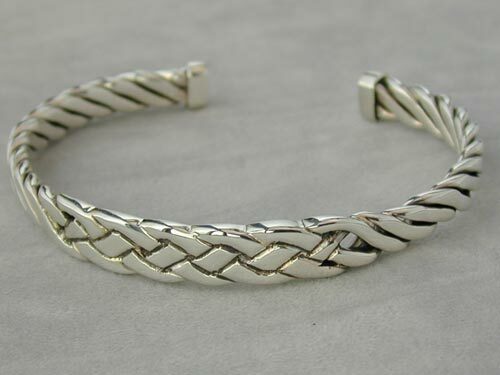 I'd been after a simple but attractive Torc bangle for years when I saw this in a jewellers in Fort William. My girlfriend bought it on sight and it's never left my wrist since (that was over a year ago). It's taken a fair bit of daily abuse since then but still looks new. It gets absolutely no cleaning either, other that the daily soap and water that I get! Jewellery made in Scotland and fit for any highlander, Aye!